Brian is currently an active recruiter and has over 25 years of front-line recruiting experience. He is a Certified Career Management Coach (CCMC), a Certified Job Search Strategist (CJSS), and a Certified Professional Resume Writer (CPRW). He has coached and consulted countless candidates over the course of his career, mostly in conjunction with his recruiting activities. He offers one-on-one career transition coaching for those that will take direction, accept the growth that comes from the discomfort of moving in a new direction, and commit to the work and own the responsibility for success. Coaching sessions are telephonic and last one hour. 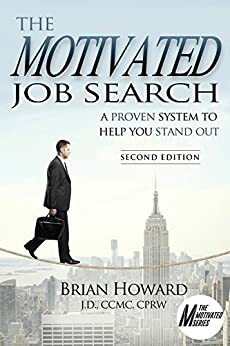 Common topics for coaching sessions include: LinkedIn profile optimization (popular), career direction and passion, job search preparation, resumes, networking, finding the hidden job market, interviewing (several topics) including differentiation techniques, and sessions for job seekers over 50 – obstacles and success strategies.